Tom brings a unique background to FocalCool, with research and development experience in heat transfer biomedical devices, and biotechnology. He has worked for United Technologies - Carrier, the University of Pittsburgh Medical School, Abiomed, Inc., Pfizer, and MicroDose Therapeutx. 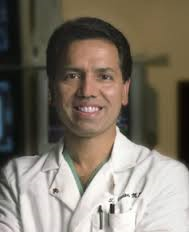 Jay S. Yadav, M.D., is the Founder and former Chief Executive of CardioMEMS, acquired by St. Jude Medical. He was the founder of Angioguard (acquired by JNJ) and initial investor and director of SMART Therapeutics (acquired by Boston Scientific). Dr. Yadav is a director of several private life sciences and technology companies. He is a Director of Georgia Bio, the Global Center for Medical Innovation (GCMI), the Bio/Med Investor Network, and former Chairman of the Southeast Medical Device Association (SEMDA). Dr. Yadav has authored two books, over two hundred publications, and holds over forty patents. He has received numerous honors including the American Heart Association Top Ten Scientific Advances for 2003, Ellis Island Medal of Honor for 2004, Southeast Medical Device Association Entrepreneur of the Year Award for 2010, Phoenix Award for Medical Devices 2011, Association of Telecom Professionals Award 2011, Ernst and Young Entrepreneur of the Year for Healthcare (Southern Region) for 2011, Association for Corporate Growth Deal of the Year 2014 and Georgia Bio Deal of the Year 2014. In this role she coordinates the daily research and engineering activities, including in vitro testing, data processing, animal testing protocol preparation and execution. Jennifer also leads our grant application development work, including doing most of the writing and building important collaborations with a broad range of experts, clinical, academic, and industrial. Jennifer received her BS in Mechanical Engineering from Rowan University. After working for the Army Research Laboratory she completed her Master's in ME at The University of Delaware. Denise is our lead engineer responsible for the design and testing of our prototypes. Using computational tools MATLAB, Engineering Equation Solver (EES), and SolidWorks, she designs and simulates predicted performance before manufacturing. Using LabView she creates programs to monitor and control in vivo and in vitro experiments. Finally, she also leads initial prototype fabrication using our mini-milling machine and UV adhesive tools. Denise received her BS in Mechanical Engineering from Stony Brook University. Her Master's degree, also in Mechanical Engineering at Stony Brook focused on developing math models for refrigerant properties. Prior to joining FocalCool she worked for 13 years in United Technologies - Carrier Heat Transfer Research Division.